Very peaceful, green and serene location away from all the traffic and noise pollution but still yet in heart of the residential belt of Coimbatore. 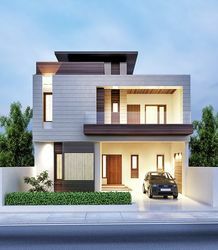 Located in the largest gated community within 3 kms Vincity of R S Puram, just off Maruthamali road & 2 KMS before Vadavalli. 24 hrs security and CCTV will be monitoring the community to give our residents a safe heaven . All the rooms will have cross ventilation with an air vent to provide fresh supply of Oxygen.